GHD Hair Straighteners. These have been Used, Very Good Overall Condition. Fully Working Order. GHD Hair Straighteners. Complete with Carry Case. These have been Used, Mint Condition. Fully Working Order. GHD Hair Straighteners. Limited Edition - Bird of Paradise. These have been Used, Mint Condition. Fully Working Order. ghd hair straighteners, Used But Perfect Working Order. 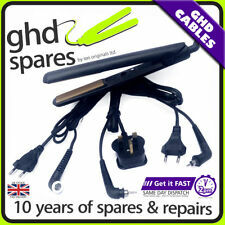 ghd hair straighteners, Used But Perfect Working Order.. Condition is Used. Few marks but great condition. Will post soon as paid for. This is a used GHD straighter in very good condition and in working order. Sale is for the hair straighter only nothing else. GHD Carry Case Mat Straighteners Heat Resistant Pouch Travel Roll-Up Bag. Condition is Used. Dispatched with Royal Mail 2nd Class. Still great working order just a crackle as you turn the switch on. Didn’t want them to go to landfill but to a good new home. Genuine GHD Hair Straigteners In Working Order . Condition is Used. Dispatched with Royal Mail 1st Class. ghd hair straighteners. Condition is Used. Dispatched with Royal Mail 1st Class. GHD hair straighteners, Used But Perfect Working Order.. Condition is Used. Dispatched with Royal Mail 1st Class. From a smoke and pet free home. GHD CURVE CLASSIC WAVE TONGS, in very good used condition. Perfect working order. ghd MS- Hair Straighteners - Jemella Limited Edition. Condition is Used. In fully working order. Dispatched with Royal Mail 1st Class. GHD V GOLD PROFESSIONAL HAIR STRAIGHTENERS, UNUSED. New unused GHD V Gold professional hair straighteners. A Xmas gift that has sat in the box and never been turned on. Normally costs around £120. Fitted with UK plug. Ghd's Gold Professional Styler in black is THE ultimate hair straightener. GHD Contour Hair Crimper. Condition is New. Dispatched with Royal Mail 1st Class. ghd 3- Hair Straighteners - Jemella Limited Edition. Condition is Used. In fully working order. Dispatched with Royal Mail 1st Class. • 100% GENUINE MK 5 GOLD EDITION GHD HAIR STRAIGHTENERS. ghd 4.2b - Hair Straighteners - Jemella Limited Edition. Condition is Used. In fully working order. Dispatched with Royal Mail 1st Class. Ghd hair straighteners Original. Used but in good working condition any questions feel free to message me happy bidding. GHD curve creative curl curling wand in excellent condition. GHD WIDE PLATED HAIR STRAIGHTENER MODEL SS. Condition is Used. Dispatched with Royal Mail 1st Class. GHD Curve Classic Curl Tong 26mm. Only used once, so as new. Comes with all original packaging and manuals. Pink & White Limited Edition GHD Hair Straightners. Still working - only selling as I now have a newer pair. Condition is Used. Dispatched with Royal Mail 1st Class. Used GHD straighteners in good working condition. Perfect working order, i put a little tape on a little bit of the wire. Not really used much. If you have a faulty pair of GHD the most cost effective option, rather than buying another pair, is to have them repaired by Siriushair® Ltd for £17.50. Power cable to replace a failed mains lead on all versions of GHD 4.1B hair straighteners. Ghd Jemella 5.0 Limited excellent Condition just need the plates slightly adjusting they don't meet properly Condition is Used. Dispatched with Royal Mail 1st Class. GHD Curve Classic Wave Curling Wand. Condition is Used. Dispatched with Royal Mail 1st Class. Amazing condition, just some marks to the metal. No scratches on plastic at all. 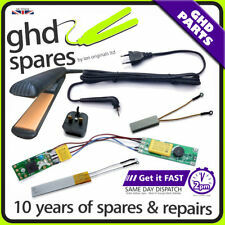 Ghd original hair straighteners and crimpers bundle direct from Ghd New Boxed. Condition is New. Dispatched with Royal Mail 1st Class. The ghd thermal fuse is a very common part to fail and cause power loss on GHD stylers. GHD THERMAL FUSE - USED. GHD THERMAL FUSE REMOVAL AND FITTING INSTRUCTIONS. Remove the ghd logo hinge covers carefully with a flat headed screwdriver. LOVELY CONDITION AND ALMOST UNUSED. All images and information are property of Ion Originals Ltd. No unauthorised reproduction or links without prior permission. All repairs done at your own risk and should be checked & PAT tested by a qulified engineer. The ghd thermal fuse is a very common part to fail and cause power loss on GHD stylers. GHD THERMAL FUSE REMOVAL AND FITTING INSTRUCTIONS. 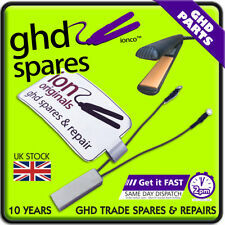 Remove the ghd logo hinge covers carefully with a flat headed screwdriver.